Our parachute silk hammocks are tough and colourful. We can rig as either invidual hammocks or as installations. Our latest, most beautiful, installation is the hammock flower. These beautiful structures have become a firm favourite at many events. Not only creating stunning site decoration – a meadow full of giant flowers, but also a wonderful chill out area and friendly sociable space for people of all ages. The flowers come in a variety of colours, sizes and levels of details from basic to intricate. We can add soundscapes, mood lighting and even giant butterflies who happily pollinate guests with Pimms or other cocktails. 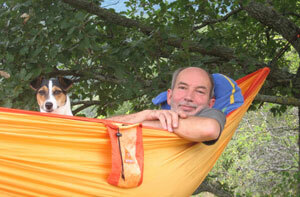 Hammocks can also be rigged in woodland using trees or with sets of posts and guys. We often add hammocks as part of a flag hire contract as they do need supervising. 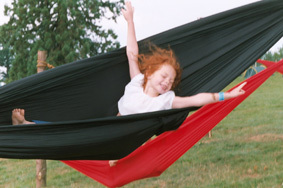 Kids adore playing in them, adults love the friendly laid back vibe of a hanging hammock hamlet. Contact us to discuss hire options. 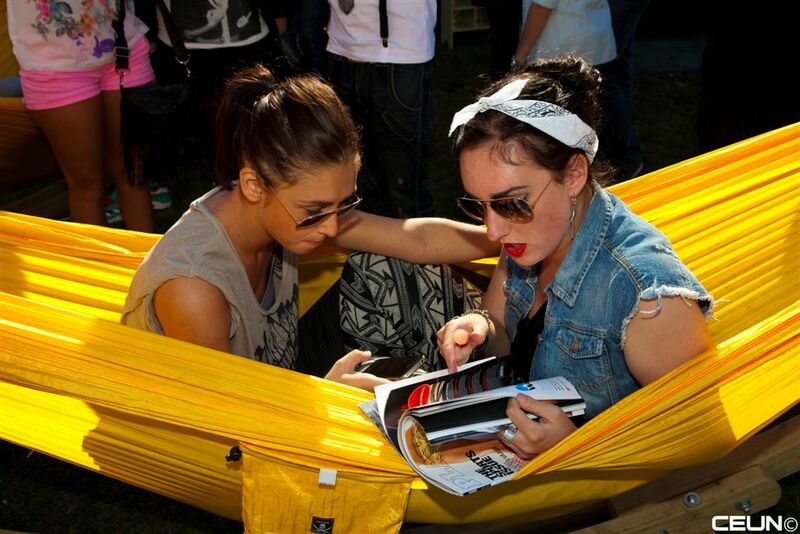 If you’ve realised that you need more hammock in your life get in touch and we’ll post you one. Our hammocks pack down into the attached small bag, making them ideal for travellers and walkers – as well as other less active pursuits such as: lounging, kicking back and snoozing in the sun. The bag on the side works superbly as a wine bottle holder when the hammock is hung and when you wake up, you’ll find the world a better place.